E.S.R.A.S. currently has a range of branded merchandise which is available for purchase at our shows and displays, all proceeds from the merchandise go toward the running of the club allowing us to continue to put on our shows, diplays, talks and to continue top educate people about the truly fascinating animals. 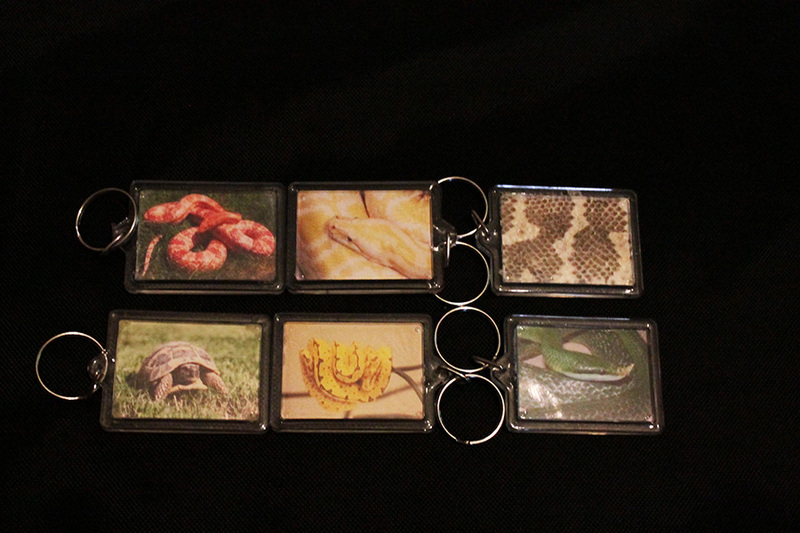 We have 6 to choose from : Snakeskin, 'John' the Albino Burmese Python, A Rhino Sat Snake, A Green Tree Python, A Tortoise and An Amelanistic Corn Snake. 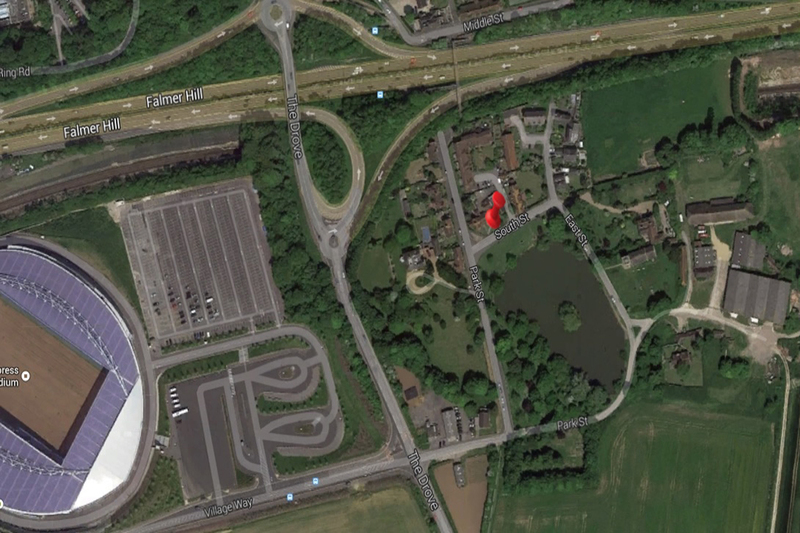 We have 16 to choose from : 'John' the Albino Burmese Python, A Green Tree Python, A Bearded Dragon, A Tarantula, A Rhino Rat Snake, A Scorpion, A Grey Banded King Snake, A Spiny Tailed Monitor, An Amenalistic Corn Snake, A Chameleon, A Whites Tree Frog, A Boa Constrictor, A Tortoise, A Geckoes Eye, A Green Tree Pythons Eye and an I Love Reptiles Badge. 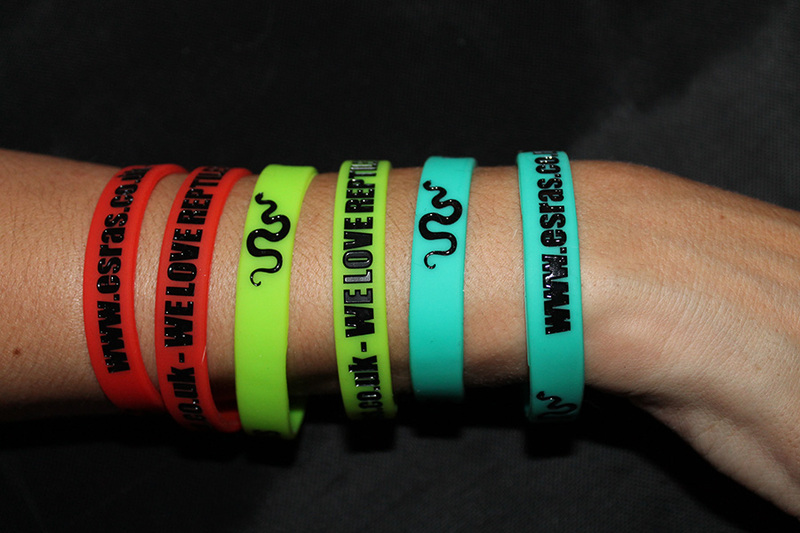 We have 3 colours to choose from : Red, Cyan and Green. 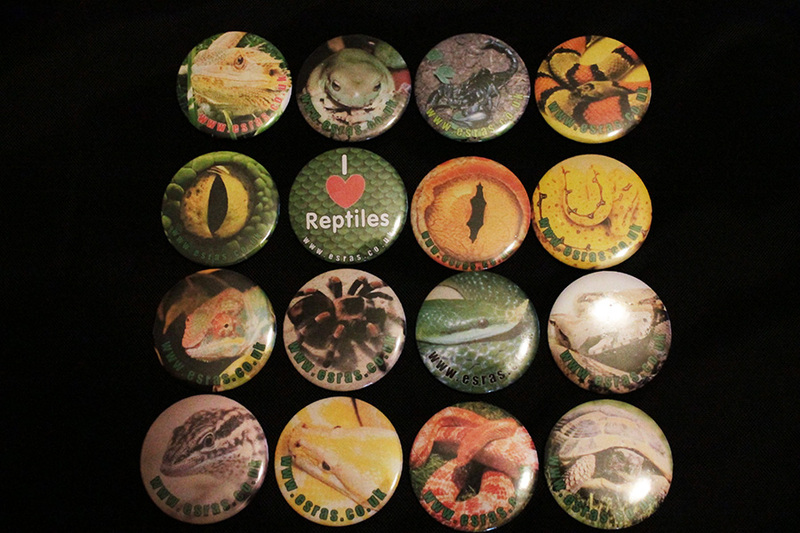 They all say "www.esras.co.uk - WE LOVE REPTILES" with a small snake icon on them. 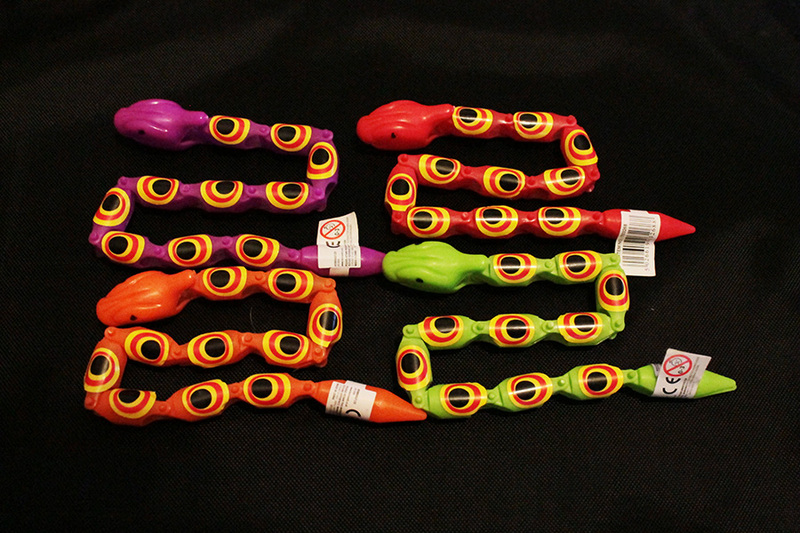 We have 4 colours to choose from : Red, Orange, Green and Purple. We Have 22 to choose from : Bearded Dragon, Green Iguana, Black Tree Monitor, Bumblebee Royal Python, Citrus [Yellow] Bearded Dragon, Baby Corn Snake [Coming out of the egg], Yellowed Eared Terrapin, Snow Corn Snake, Cobalt Blue Tarantula, Leopard Gecko, Amenalistic [Red] Corn Snake, Pastel Royal Python, White’s Tree Frog, Carolina Corn Snake, Mexican Red Legged Tarantula, Grey Banded Kingsnake, Tangerine Leopard Gecko, Boa Constrictor, Bolivian Boa Constrictor, Hog Island Boa Constrictor, Burmese Python, Piebald Royal Python.